The all-popular Switchbacks style now comes in an all-new fabric for Venturers! A tough-yet-durable 100% nylon is loaded with high-performance features that make this pant wear better and last longer. 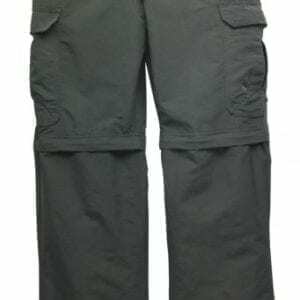 They can go from full-length pant to shorts in a jiffy and the zippered cuff makes it easy to pull the pants-portion off while keeping your hiking boots on.